Hey boys! Head to Colaba Causeway, its not a heaven only for girls but now you guys can go too. Real Deal shop in Colaba has a great collection of the right amount of quirkiness and quotes you need in your life. They have everything from famous ones like Aao kabhi haveli pe, Muchi nahi toh Kuch nahi to Phir bhi hum dude hain and Risky after whisky. And begins at a cost of INR 500, which surely is not too much for so much swag. Plus, these tshirts are from Beer Studio - that is a super cool website with so many tshirts for guys and girls as well. 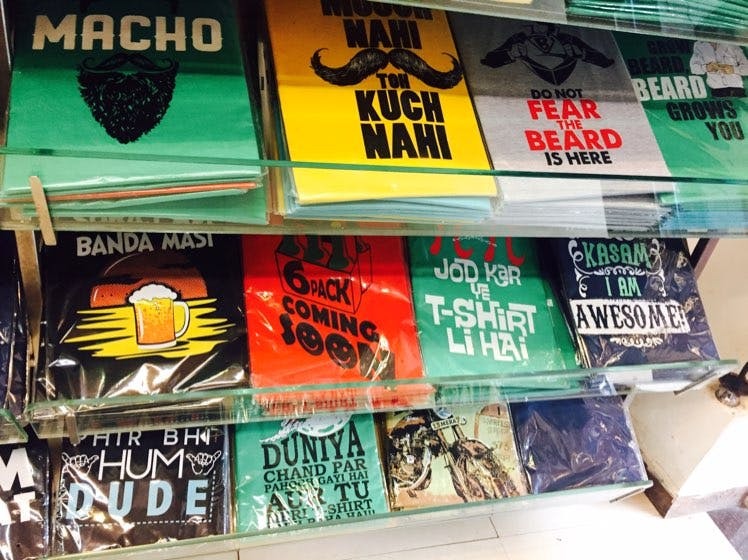 Go shopping with your girl to Colaba and buy Tshirts for yourself or just shop them online.